Bell has a soft spot for Halloween, especially since thatâ€™s how Cassieâ€™s story began back in 2008. â€œHalloween is one of [Cassie’s] favorite times of year. It’s so much fun. My 15-year-old officially started trick-or-treating without me last year. She goes early with us because she’s the big sister of the family, so she’ll still come and go with us and then go out with her friends later. My little guy is eight. They love Halloween,” she shares. 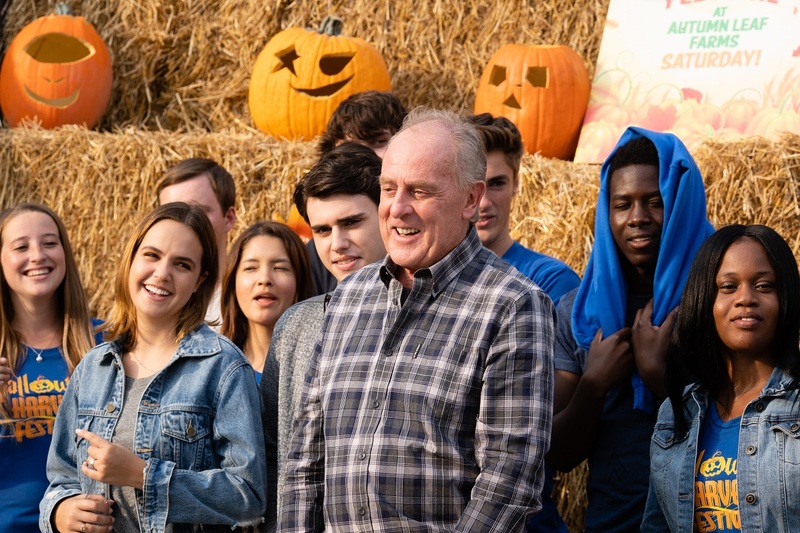 Bell echoes what we spoke about last year, and what executive producer Jon Eskenas had to say about evolving the franchise from movies to an episodic series. â€œWhen we started the series, [we had to] try to figure out a way to make it watchable every week, because when you’re doing a movie it’s just a one-off thing. [It’s] two hours beginning to end,â€ she says. Bell also appreciates that the series has taken the time to develop Sam and Cassie’s love story and imbue it with a deep, genuine care and affection. â€œI had a scene the other day [that] was so sweet to film [because] he’s just saying something really beautiful about me, how much he loves me, and [we] kiss,” she says. Bell says we’ll see Sam becoming more aware of Cassie’s gift, and she loves that part of her character and credits Cassie’s outlook with sometimes helping her put a positive spin on things. â€œSam is finally starting to pick up on [Cassieâ€™s gift]. We’re hoping you’ll see more of it [like when] Cassie [says], â€˜Oh, that’s Martha calling,â€™ and reached for her phone [before it rang],” she points out. 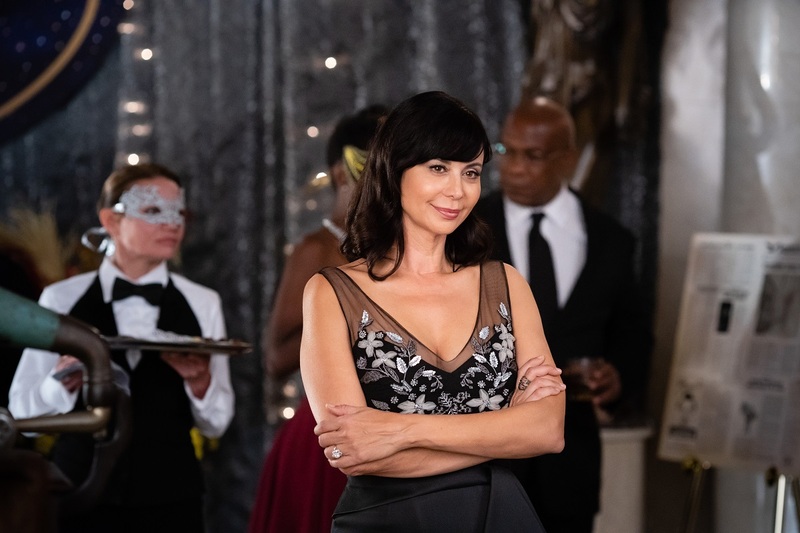 Bell doesnâ€™t yet know what the longevity of Good Witch will be, but sheÂ considers a very long run a possibility. â€œSometimes we joke [about] The Good Witch‘s grandchildren, and I’ll be like Angela Lansbury still working,â€ she laughs. 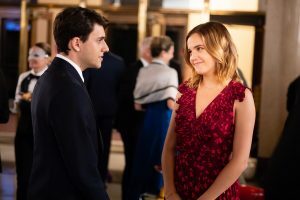 A Summer to Remember reteamed Bell with director Martin Wood, and paired her for the first time with Cameron Mathison. She had a fantastic time with the project, which filmed in Fiji, and loved the storyline. â€œMichelle Vicary from Hallmark got me a script and said, â€˜I have something for you that might be Hawaii.â€™ And I was like, â€˜Yes. I’m in, whatever the script. I’m doing it.â€™ And then it evolved and turned into Fiji,â€ she recalls. 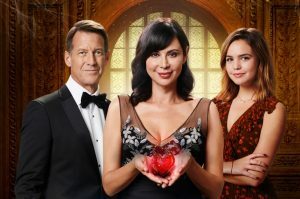 Good Witch: Tale of Two Hearts premieres Sunday night at 8 pm/7c on Hallmark Channel. Check back tomorrow for my exclusive interview with Steve Byers, who guest stars in the movie. Here’s a sneak peek behind the scenes. Click the title link above for the full preview.